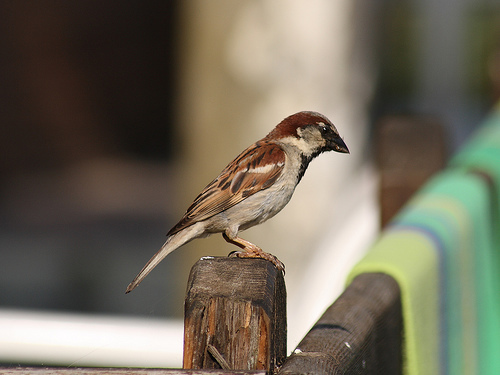 Wikipedia describes the house sparrow (Passer domesticus) as a species of passerine bird of the sparrow family Passeridae which is a small bird with feathers mostly in different shades of brown and grey. If the rate at which the sparrow population is declining today continues, reading about it online or in books will perhaps remain the only way to learn about this species of bird. Much needs to be done today before we can even begin to understand the change in density and number and be able to attribute it to visible indicators. To continue the conversation on conservation, the Bombay Natural History Society (BNHS) and WWF India cordially invite all of you to attend a talk on “The Beautiful World of the Sparrow!” The talk will be delivered by Mohammad Dilawar and will highlight the history of one of the most loved but nearly lost bird species of the world. High tea will be served at the conclusion of the talk. yes, house sparrow we see in our house in 1970-80 now it not seen in delhi. few days ago i have see it in delhi in pant nagar , bhogal , . I will try my best to join the talk. In Delhi, how is it that the population of Crows is increasing day-by-day….maybe because people feed them or they prey on ‘other herbivorous’ species/ living creatures….? Any how , the life cycle of many of the living creatures is unpredictable …see how efforts to save the National bird peacock have been quite succesful, in villages mostly …? WWF research updates can vouch for this , maybe…? will read surely for such info. online…!! !